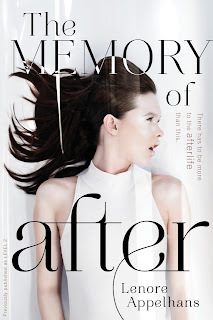 The Compulsive Reader: Cover Talk: From Level 2 to The Memory of After! I like this cover quite a bit, although it does remind me of a recent Jennifer Echols cover. I love the cover. Love the font treatment. But I'm totally confused as to why they're changing the title at this stage. Linda: I asked around and I guess that a lot of potential readers were really confused by the title and thought that it was a sequel and were looking for a Level 1. That's sad, and I didn't think that, but...oh well. If the title change clears up confusion instead of adding to it, then that is good, I guess. It's such a great book, and I wish everyone would read it!